This simple recipe is perfect to please your Sweetheart this Valentines Day! Bring a large pot of salted water to a boil. Stir in pasta and return pot to boil. Cook until al dente. Drain well. Stir in wine and pepper. Bring to a boil and cook for 30 seconds while stirring constantly. 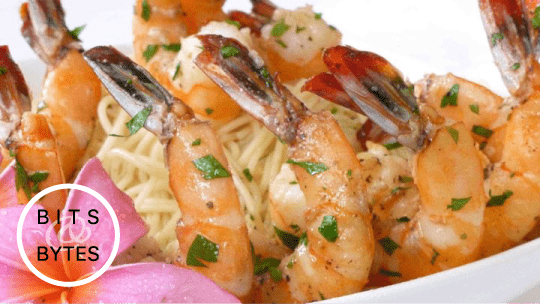 Mix shrimp with drained pasta in a serving bowl. Sprinkle with cheese and parsley. Serve immediately.